ILAM, June 22: With local polls just around the corner, political parties in Ilam, Panchthar and Taplejung districts have intensified election campaigns with a view to wooing votes. They are also busy discussing what local level development plan might constitute in an effort to make them look positively different from other parties. They are focusing voters rather than their cadres with a view to ensuring their victory. It is still too early to predict which party will win the election. However, prediction is being made about possible winner in the circle of political analysts given the performance of the parties in the two elections. In the last two elections, no parties performed in a similar manner: the performance in the first election , for the most part, differed from the second one. Such an unpredictable pattern of their performance makes it difficult for those interested in election result forecast to make an accurate prediction. There are 6 municipalities and 19 rural municipalities. Local level restricting has affected the continual existence of the stronghold of parties. This has also created a difficulty in making an accurate prediction about possible winner. 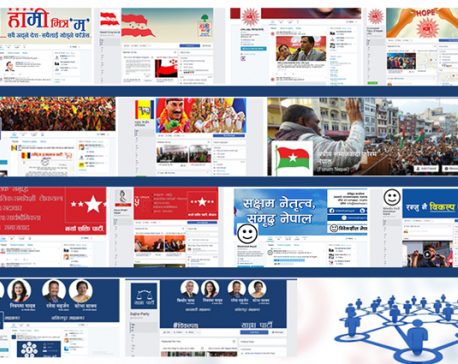 CPN-UML and Nepali Congress have already emerged victorious in the past elections in certain local bodies under the old administrative structure. They are claiming that they will win the elections based on their past victory. Even those parties who lost the last elections and newly established parties who have never participated in the election are also making a similar claim. There is no scientific way of knowing in advance which party will emerge victorious in the local level polls slated for June 28. The only option left is to wait until local polls are held and votes counted.